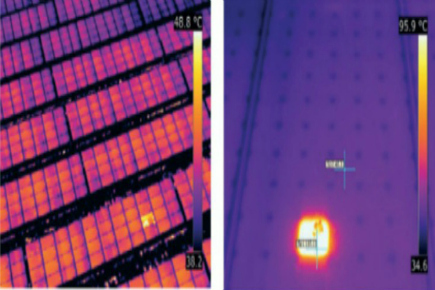 Thermography is ideal for inspecting photovoltaic systems. a photovoltaic module and visualizes them in a thermal image. ensure sustained profitability of your photovoltaic system.